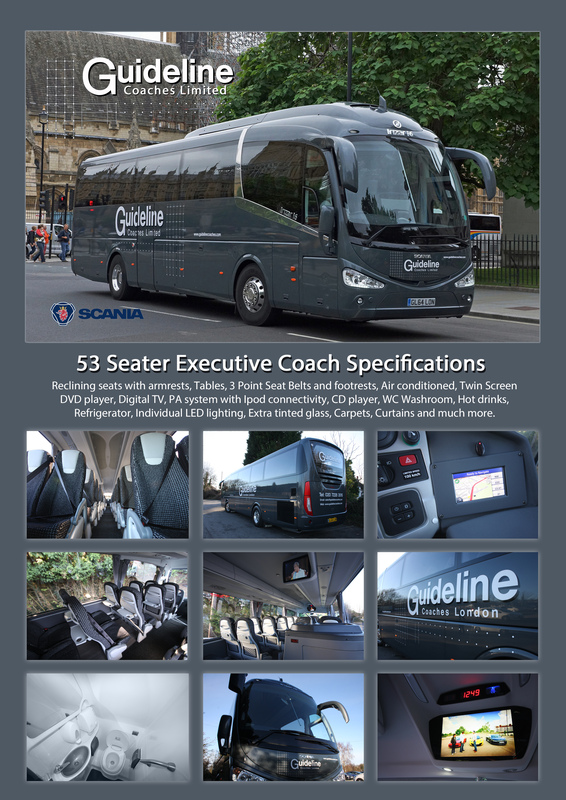 Guideline Coaches Ltd offer coach hire throughout the U.K. and Europe. We only operate the very highest standard of new and modern coaches that are based on Scania and Mercedes engineering platforms. Each of our coaches utilise the very latest in safety technology, combining collision avoidance with auto braking and active lane departure warning systems. Safety, comfort and reliability are paramount to our ethos. To achieve this, every coach and midi coach in our fleet is maintained to the very highest standards abiding by strict maintenance schedules. An added benefit to this arrangement is that we have access to the respective manufacturer’s 24-hour breakdown and recovery arrangement, with replacement coaches available, in the unlikely event of a mechanical malfunction. We utilise the latest satellite tracking technology and telematics in every one of our coaches, which enables our operations controller to pinpoint the exact location of the vehicle at any given time. We also have a public web page service that enables access to the position of the vehicle from any PC. This unique system also notifies our driver of traffic hold-ups and other congestion, enabling them to divert route whenever and wherever possible. Additionally, all of our drivers’ have been enhanced CRB checked to give our passengers additional confidence as to the integrity of our already highly skilled, and experienced professionals. 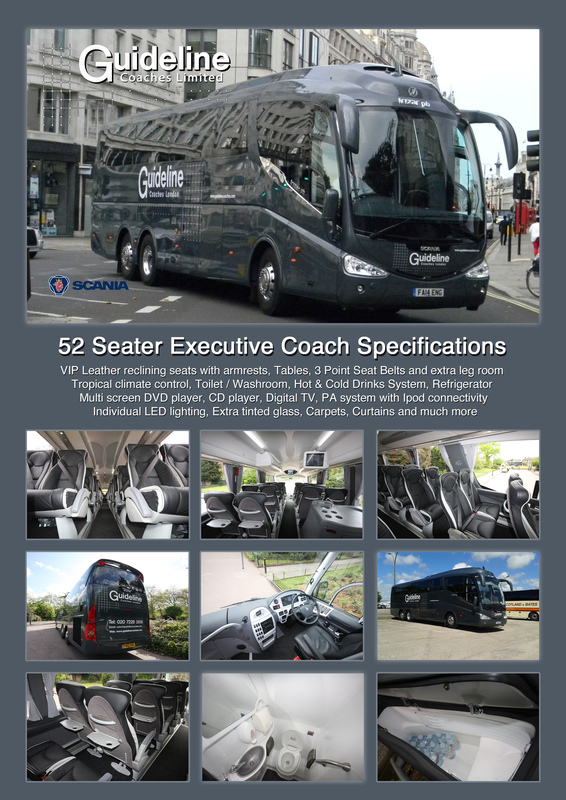 Should you wish to discuss any aspect of your travel requirements with one of London’s most respected and experienced coach companies, whether it be for executive coach hire or midi coach hire, then please visit our contact page or call us directly today. We cover areas including, Bromley, Croydon, Dartford, Essex, Gatwick, Kent, London, Orpington and Sout East London. 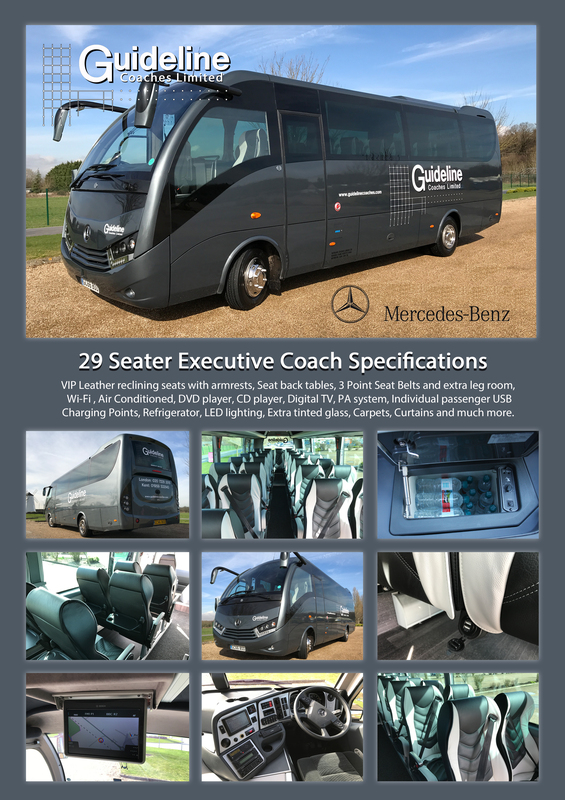 We have a fantastic fleet of midi coaches to suit the needs of groups with a smaller number of passengers. 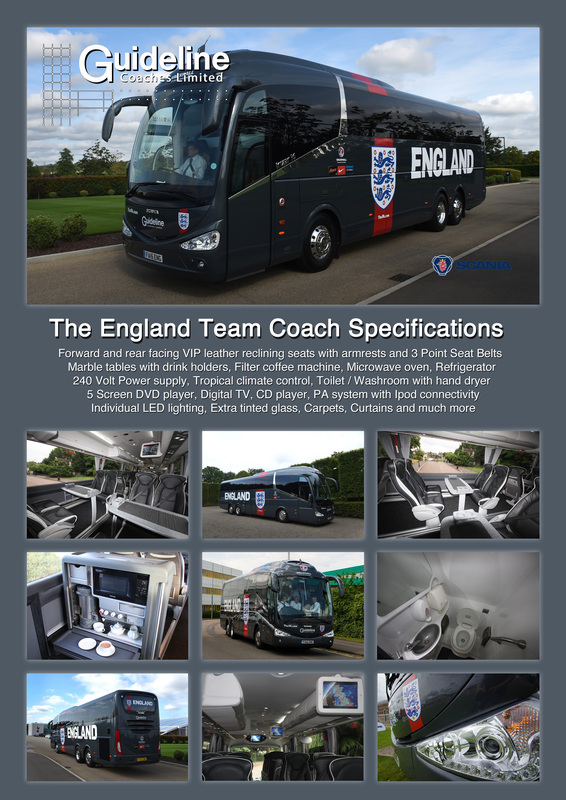 For those journeys where a full-size coach is just too big or cannot be justified, we can offer a smaller vehicle which still retains the same outstanding levels of comfort and safety as our larger vehicles. We never compromise on safety or comfort, which is why all our coaches are equipped with similar features. Many corporate organisations and private groups alike use our midi coaches for journeys with a smaller number of passengers. Our midi coaches are only small in size – not in quality! Choose Guideline Coaches Ltd for luxury travel to meetings, weddings, sports events or airport runs!